The use of diagrams in logic is old. Euler and Venn schemes are among the most popular. Carroll diagrams are less known but are occasionally mentioned in recent literature. The objective of this tutorial is to expose the working of Carroll’s diagrams and their significance from a triple perspective: historical, mathematical and philosophical. The diagrams are exposed, worked out and compared to Euler-Venn diagrams. These schemes are used to solve the problem of elimination which was widely addressed by early mathematical logicians: finding the conclusion that is to be drawn from any number of propositions given as premises containing any number of terms. For this purpose, they designed symbolic, visual and sometimes mechanical devices. The significance of Venn and Carroll diagrams is better understood within this historical context. The development of mathematical logic notably created the need for more complex diagrams to represent n terms, rather than merely 3 terms (the number demanded by syllogisms). Several methods to construct diagrams for n terms, with different strategies, are discussed. Finally, the philosophical significance of Carroll diagrams is discussed in relation to the use of rules to transfer information from a diagram to another. 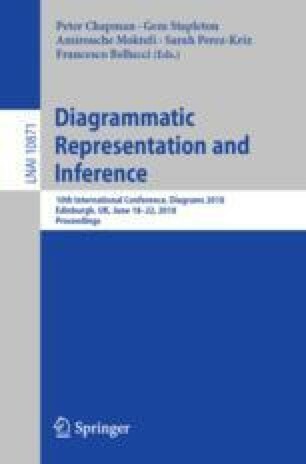 This practice is connected to recent philosophical debates on the role of diagrams in mathematical practices.